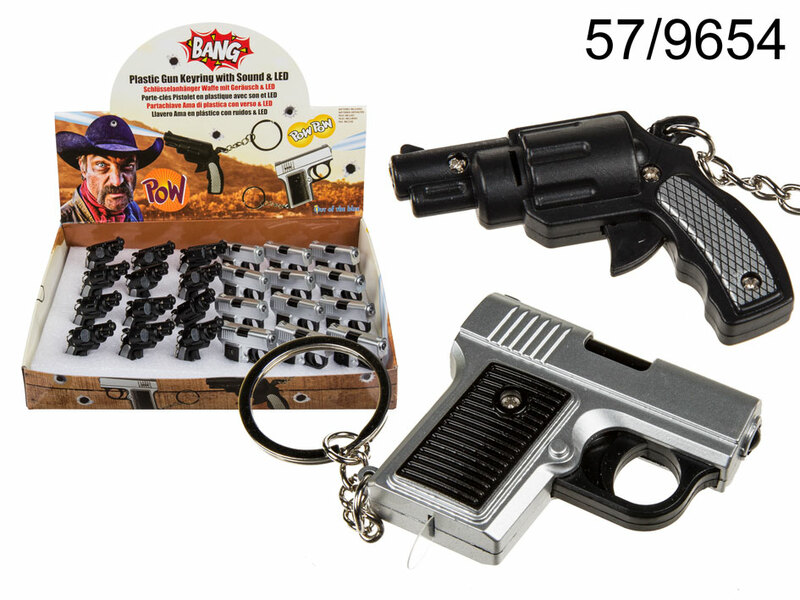 Gun-shaped keychain with gun shot sound and LED activated by pulling the trigger. Fun item for everyone. Several models available (silver handgun or black revolver) - assorted. Battery-operated (batteries included). When buying 24 items display stand is free of charge. Dimentions: 5.5 x 4 x 1 cm.